The past five years has seen something of a renaissance when it comes to musicians doing things to and with the human voice. Part of this has been spurred by the UK bass music scene and its obsession with bent, warped, and stretched vocal samples, voices turned into fractals or halls of mirrors, the syllables refracting off each other. As David Bevan pointed out a few years ago, "there seems to be a new musical vocabulary emerging, one centered around the way vocals are being manipulated to create moods and atmospheres defined by their amorphous, often spectral nature. Ghost voices." Bevan goes on to trace the predominance of this musical vocabulary first to Burial and then "from T-Pain to Kanye to Todd Edwards to Prefuse 73 and on back, with stops along the way for Luomo's Vocalcity, the KLF's Chill Out, Kraftwerk's vocodered melodies, King Tubby's dub, and Steve Reich's tape experiments." The focal point of this new style, for Bevan, is James Blake, about whom I've written before, but he rightly points out that this is not entirely a new phenomenon--Alvin and the Chipmunks and experimenting with a two-speed tape deck when I was a kid primed me on the fact that recorded voices could be altered in strange, sometimes thrilling ways, and Cher's "Believe" was basically an infomercial for voice manipulation software (in her case, the now-dreaded Autotune). All of this is just to say that large portions of very disparate genres have spent the last few years exploring the ways that the voice can be cut up, processed, and reassembled into something new, along with what that manipulation does to our understanding of music and to our relationship with the source material. In the midst of all this vocal wizardry, Gonjasufi's 2010 debut A Sufi and a Killer was a revelation. Without any tricks, Gonjasufi turned in a commanding performance anchored by his incredibly distinctive vocals. Charred, cracked, broken, wheezing, and wailing, his voice was like a skeleton in the desert sun (that a remix album was called The Caliph's Tea Party makes perfect sense). The music backing him, a mix of Brainfeeder-style beat science, psych rock, raga, hip-hop, and off-kilter pop, worked to highlight his singular voice, offering him odd melodies and varied environments to croon, rasp, and rap over. After a relatively low-key release in the latter half of 2011--the 9th Inning EP--Sumach Ecks returns with the mini-album MU.ZZ.LE (at just over twenty four minutes, the ten songs here fly by). 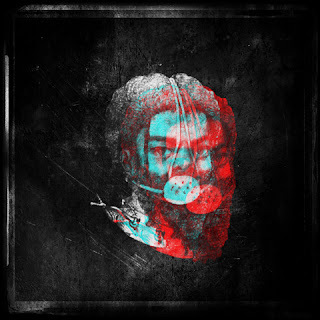 Gone is some of the eclecticism of A Sufi and a Killer, but in its place is a renewed commitment to the element that really defines Gonjasufi: Ecks' blasted vocals. There were times that A Sufi and a Killer ended up in a kind of sub-Tom Waits territory (especially on a track like "She Gone"), but MU.ZZ.LE sticks to the psych and hip-hop ends of his sound. One welcome addition to Gonjasufi's soundworld is Ecks' wife, whose strong voice serves as an intriguing foil on "Feedin' Birds" and "Skin." Overall, MU.ZZ.LE plays like a consolidation of strengths rather than a radical reinvention, but when your strengths are as unique and intriguing as Ecks' are, it makes sense to stick with them. Aside from the aforementioned "Feedin' Birds," the highlight might be "Timeout" with its subdued, though oddly doom-laden and portentous, organs and prominent drums that underpin one of Ecks' best vocal performances. "The Blame" is the closest to a pop-friendly moment on the album, matching sweeping, almost cinematic organ and keyboard swirls to an intense half-sung, half-mumbled tale of paranoia and misery. "Blaksuit," meanwhile, brings back the junkyard guitars of A Sufi and a Killer standouts "Kobwebz" and "Kowboyz & Indians" along with that album's distorted vocals. "Feedin' Birds" is far and away the peak here, though, with Ecks and his wife combining to deliver a moment as odd and mysterious as anything that's appeared on a Gonjasufi release. Shedding most of the high-powered guests who helped produce A Sufi and a Killer (The Gaslamp Killer, Flying Lotus, and Mainframe) in favour of a largely self-produced effort (Psychopop assisted on three songs) makes MU.ZZ.LE a much darker listen than Gonjasufi's debut. The music shimmers like the heat around his Mojave Desert home even as the production coats everything in thick, murky swamp water and a layer of dust. Just like his debut, though, the primary takeaway from MU.ZZ.LE is that there's little else out there that sounds like Gonjasufi. Listening to him seems to suspend time, to alter the very room that you're in. Less than twenty five minutes of new music is not enough; I can't wait for his next full-length. If MU.ZZ.LE is any indication, it'll blow minds one craggy-voiced pronouncement at a time--a Sufi and a killer indeed.